In researching consumer purchasing, handling, storing and cooking of poultry and raw eggs, Edgar Chamber IV and Sandria Godwin have found that if consumers focus on two preventative measures, they will keep themselves much safer. 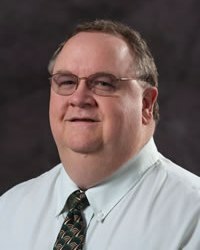 Chambers, a university distinguished professor in the food, nutrition, dietetics and health department at K-State and Godwin, professor in the family and consumer sciences department and director of the didactic program in dietetics at Tennessee State University, teamed up to host a webinar for the U.S. Department of Agriculture about how to handle food safely. The seminar is part of the Institute of Food Safety and Nutrition seminar series geared toward educating the public through communicating new information. Chambers and Godwin have found that the two preventative measures consumers can take in relation to raw poultry and eggs are to not touch raw meat and to use a meat thermometer when cooking. Using the plastic bags in the meat section at the grocery store to bag raw meat and storing the meat in the same bag can possibly prevent contamination of other products in the cart, on the counter, or the refrigerator or freezer. Researchers also found that when consumers did not use a food thermometer while cooking poultry, they were more likely to undercook the meat and become susceptible to foodborne illness. The webinar, "Developing consumer messages for proper handling of poultry and eggs: the research is available on the USDA National Institute of Food and Agriculture website. Some continuing education credits are available to those who view the seminar — check the website for details. This article was posted on Tuesday, September 20, 2016, and is filed under College News, Food, Nutrition, Dietetics and Health, Sensory Analysis Center.